Just when you thought you spent enough money on your iPhone 6 pre-order comes the inevitable wave of new accessories to entice you to spend even more to protect your investment from harm. 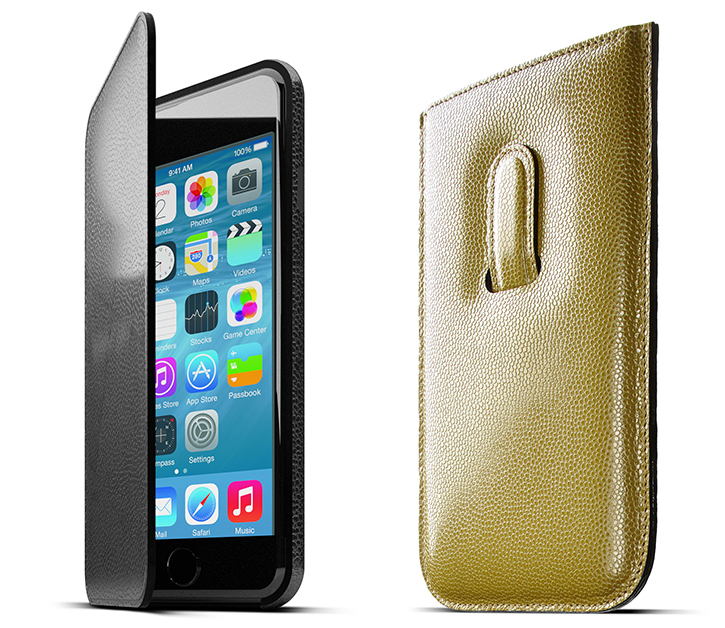 Apple's has its own official leather and silicone cases for the iPhone 6, but if you want something a bit more special than a Apple logo-embossed piece of flattened leather, there's CalypsoCrystal's new CalyspoCase Cabrio case for the iPhone 6 and iPhone 6 Plus. The CalypsoCase Cabrio is a $149 iPhone 6 and 6 Plus case that's handcrafted in Europe out of high-grade genuine Italian leather that has been stamped with a unique textured pattern. It features a hard shell design that protects the iPhone 6 offering an unrestricted use with minimal added bulk whilst also maintaining the device's sleek rounded look and adds a comfortable feel of premium leather. 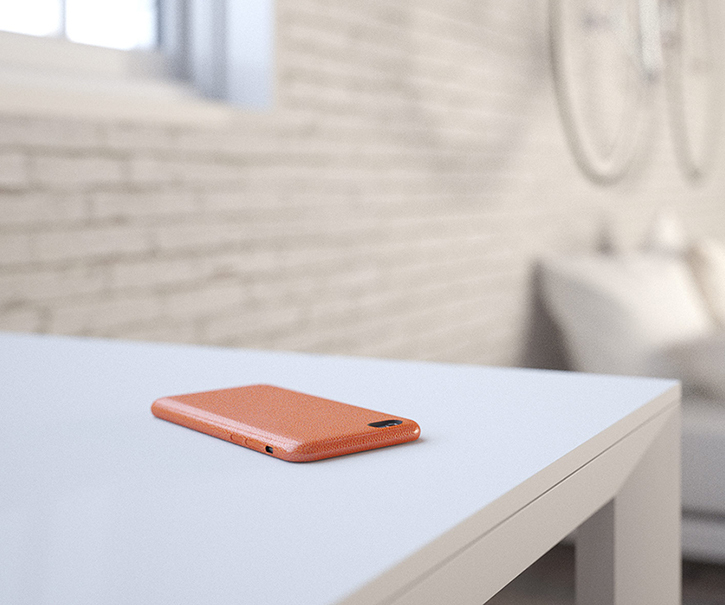 The CalypsoCase Cabrio is currently available in black, orange, green and in pink beige. Only 500 pieces of each design and color will be made and numbered. You'll be able to pre-order yours right now, but will have to wait until next month to get yours in the mail. 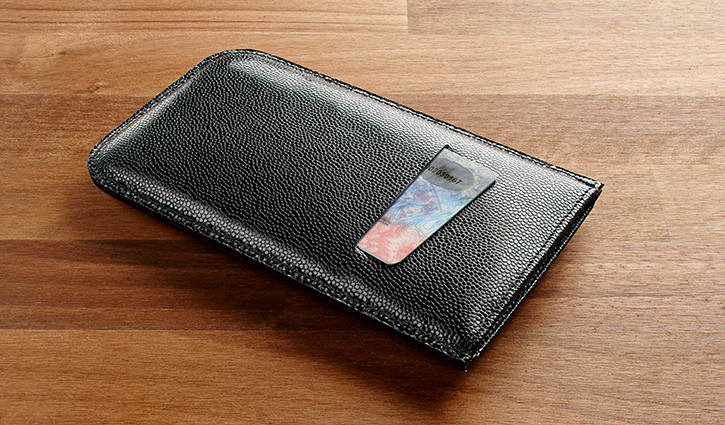 CalypsoCrystal two other offerings for the iPhone 6 and iPhone 6 Plus include the CalypsoCase Book with a flip-cover design as well as the CalypsoCase Wallet – a leather sleeve with a card slot and a pull tab for quick and easy device ejection. Both accessories are also priced at $149 and will ship in 3-4 weeks.